What receivers work with Hobby King HK-T6A V2 Transmitter? According to the description in that link above, "Only HK-T6Av2 receiver is compatible with the HK-T6Av2 transmitter." I ask because I'm getting ready to build a Versa Wing for FPV, and I'd like to set all the components internal, to keep it nice and neat. If I can use a 3CH receiver, which is all the wing needs, and save some weight, space, and money....I'd like to. Thanks all! Yes it does. And it has good range. Oh great thank you! Do you know what that plug labeled VCC is for on the receiver? Thanks again!! It seems to be a redundant battery port for when you use channel 3. This is a really good radio system, I have a neighbor who got one and loves it, I think you will too. Yeah, VCC just means 5VDC input. Well, not really redundant. It's for when you are using a non-electric plane. It is to power the receiver when you are not using and ESC. Sorry RB, I saw the batt/bind port below and... Well. Vcc is also used to designate the power tap for USB's...so it's not just for Rx's anymore! Does anyone know of any other receivers(brand other than Hobby King) that work with the HK-T6A V2 Transmitter? Thanks! I believe the Tx and Rx in the two links provided below, are the OEM equivalent to the HK branded ones. HK puts their name on them, but they are manufactured by FlySky. You're welcome. I have used both the FlySky and HK branded 6 channel receivers with my FlySky 9X transmitter without any problems. So about this VCC port....could this receiver be set up like this? Or will it not work that way? VCC doesn't send a signal. id just like to say that ive used the t6A AND gt2, not together, but separately. but my T6A has severe interferance problems. It works FLAWLESSLY in some parks, and others ill be 20 meters away and get lockout for a little bit in the exact same airspace every time i fly through it. If im in a good park though, no problems at all. the GT2 never had issues. 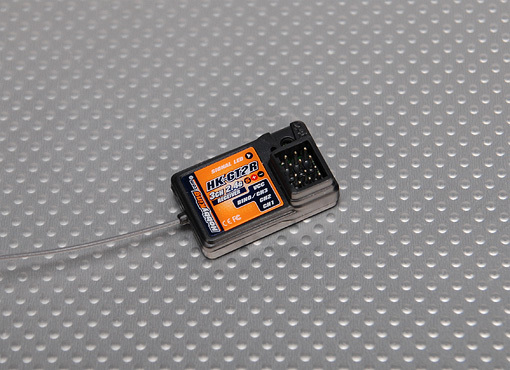 The transmitter in the link below is the upgraded version of the CT6B/T6A from FlySky and it comes with the R6B receiver, so it's compatible with the receiver that came with your transmitter. I just picked up two of these for my kids. Since I use a 9X, this transmitter will bind with all my receivers (FlySky or HK branded). The great thing about the this Tx is, it does not require a PC to set it up. It's fully programmable, and it comes with an LCD screen and back-light. All for around $55 + shipping. Great for someone who doesn't need the added features and channels of a 9X. To add to that, you can store up to 20 models in it. If you get the HobbyPartz sales emails, they often offer a 10% discount on orders, and shipping is free if you spend over $100. +1 for hobbypartz. They have excellent products and good service. I stopped shopping there because they rarely get new stock in on items, but 4 orders never had a problem. I have ordered quite a bit from them, but the lack of timely restock was frustrating at times. Overall, great experience. They have very good pricing for a US vendor and shipping was always fast.